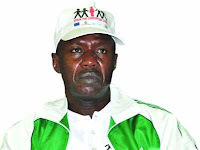 The Economic and Financial Crimes Commission (EFCC), has filed a two-count charge against the Chairman of the Code of Conduct Tribunal, Danladi Yakubu Umar, in connection with an alleged N10million bribery scam. Umar reportedly demanded for the bribe from a former Comptroller of Customs, Rasheed Owolabi Taiwo. Umar is due to face trial in the High Court of Federal Capital Territory. In the charge sheet, marked CR/109/18, the CCT chairman was alleged to have collected N1.8million bribe, suspected to be part of the N10million, through his Personal Assistant, Ali Gambo Abdullahi. The suspect will be prosecuted by Festus Keyamo (SAN), on behalf of the Federal Government of Nigeria. The charges read in part: “That you, Danladi Yakubu Umar, being the Chairman of the Code of Conduct Tribunal and presiding over a case with Charge No. CCT/ABJ/03/12, involving one Rasheed Owolabi Taiwo, sometime in 2012, at Abuja, within the jurisdiction of this Honourable Court did ask for the sum of N10million from the said Rasheed Owolabi Taiwo, for a favour to be afterwards shown to him in relation to the pending Charge (No. CCT/ABJ/03/12) in discharge of your official duties and thereby committed an offence contrary to Section 12(1) (a) & (b) of the Corrupt Practices and Other Related Offences Act, 2003. “That you, Danladi Yakubu Umar, being the Chairman of the Code of Conduct Tribunal and presiding over a case with Charge No. CCT/ABJ/03/12, involving one Rasheed Owolabi Taiwo, sometime in 2012, at Abuja, within the jurisdiction of this Honourable Court did receive the sum of N1,8million from the said Rasheed Owolabi Taiwo, through your Personal Assistant by name Alhaji Gambo Abdullahi, for a favour to be afterwards shown to him in relation to the pending Charge (No. CCT/ABJ/03/12) in discharge of your official duties and thereby committed an offence contrary to Section 12(1) (a) & (b) of the Corrupt Practices and Other Related Offences Act, 2003. With five witnesses already lined up, the EFCC said it would rely on a petition dated 20th June, 2013, by Rasheed O. Taiwo; the statement of the CCT chairman; the Zenith Bank Statement of Taiwo Rasheed Owolabi. ; the Zenith Bank Statement of Ali Gambo Abdullahi and a copy of Zenith Bank Cheque of Taiwo Rasheed Owolabi; a copy of Zenith Bank Cheque of Ali Gambo Abdullahi and all processes and documents in Charge No. CCT/ABJ/03/12. The CCT chairman allegedly asked for the bribe from Taiwo, who was a retired Comptroller of Customs. The ex-Customs officer was arraigned before the tribunal in Suit CCT/ABJ/03/12 for alleged failure to declare his assets. But the judge was alleged to have asked for the bribe to throw away the case. The ex-Customs Officer allegedly played along when he paid N1.8million out of the N10million bribe cash into the account of the Personal Assistant to the judge, Ali Gambo Abdullahi. It was learnt that Ali Gambo Abdullahi, had appeared before EFCC more than 20 times since 2012 on the matter. It was not clear what accounted for the charges against the CCT chairman because the EFCC had claimed that the allegations against him were “insufficient” to establish a prima facie case. But in 2016, the President of the Senate, Dr. Bukola Saraki asked the CCT chairman to disqualify himself from proceeding with his trial. Saraki had queried Umar’s “moral standing” to try him because he has been under investigation by the EFCC for alleged bribery scam. A top source simply said: “We have reached a convenient stage in our investigation to put the CCT chairman on trial. This latest bend of findings supersedes our previous reports on him. The EFCC had in a letter to the former Secretary to the Government of the Federation, Anyim Pius Anyim absolved Umar of bribery allegation. “The letter signed by its ex-chairman, Mr. Ibrahim Lamorde said: “We refer to your letter ref. No. SGF.19./S.24/11/451 dated 23rd February 2015 on the above mentioned case reported by one Mr. Rasheed Taiwo (DCG rtd) of 6AB Milverton Road, Lagos against the Chairman of the Code of Conduct Tribunal, Justice Danladi Umar and his Personal Assistant, one Gambo Abdullahi. “The complainant who is facing charges at the Code of Conduct Tribunal alleged that Justice Umar made direct demand for the sum of N10 million to quash the charges sometime in 2012. “He disclosed that he was compelled to pay the sum of N1.8 million after persistent inundation with phone calls from Justice Umar, who received the bribe through the Zenith Bank account of one Ali Gambo Abdullahi, his personal Assistant in December, 2012. “Investigation was extended to one Hon. Justice G.A Oguntade (Rtd) who confirmed that the complainant informed him in 2012 of the issues he had at the Tribunal and the demand being made by Justice Umar. He disclosed that Justice Umar denied the allegation when he called him. “There are indications that the Tribunal Chairman might have demanded and collected money from the complainant through his said Personal Assistant. “However, efforts made to recover the telephone handset used by Justice Umar proved abortive, as he claimed that he had lost the telephone in 2012. This has made it impossible to subject it to independent scientific analysis with a view to corroborating the allegation. “In the same vein, the complainant could also not make available his telephone set for analysis on the grounds that he had lost it. Justice Umar also admitted that he met privately with the complainant in his chamber at the Tribunal. This is a most unethical and highly suspicious conduct on his part. “There is a prima facie evidence to however prosecute the Personal Assistant, Abdullahi, who could offer no coherent excuse for receiving N1.8million into his salary account from Taiwo, who is an accused person standing trial at the tribunal. “The full money has been recovered from him in May 2014 and aptly registered as exhibit. The fact that he made two contradictory statements on the reason he was paid the money, is clearly an attempt to cover up on the reason the money was paid to him. He has accordingly been charged to court in charge no. CR/137/2015 pending at the High Court of FCT, Abuja. “However the facts as they are now against Justice Umar raised a mere suspicion and will therefore not be sufficient to successfully prosecute him for the offence. Also, the Secretary to EFCC, Mr. Emamnuel Adegboyega Aremo, in another letter to the Secretary to the Government of the Federation on April 20, 2016 exonerated Justice Danladi of corrupt practices.